Have you been watching the news lately? The destruction caused by Irene is tremendous! I never would have considered Vermont a state that was at risk of hurricane damage, yet there are entire cities that are under water there. Damage estimates from the storm total over $10 billion and are still climbing, and the total economic impact estimates have reached $20 billion. As recovery from Irene is underway hurricane Katia continues to build strength as it heads towards the east coast of the United States. While Irene had little effect on us in Iowa, Stephanie and I have felt like we’ve gone through our own storm this week. We got caught up in a whirlwind of emotions, felt a sudden change of pressure caused by miscommunication, braced ourselves for the winds of change, and were overwhelmed by a flood of generosity from our friends. There were a lot of things that seemed to be going wrong at the beginning of the week that God used in unexpected ways. Yesterday afternoon we had our phone call with MAF to evaluate our progress along the ministry partnership trail. It was a positive experience in which we discussed possible reasons why monthly support is growing so slowly, what would need to be done to get us to language school this January, scenarios that might occur, and whether continuing on a longer-than-normal deputation would be in the best interest of MAF and our family. We raised a lot of concerns, but talked about a lot of possibilities and new ideas as well. I am thankful that Mission Aviation Fellowship is such a great organization with great people who want to see our ministry succeed, and who are willing to work through these difficult decisions with us! 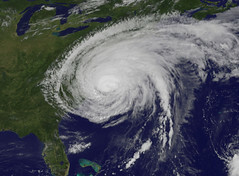 As with Irene, some of the predictions this week were accurate, and some were not. Reaching 60% was an important goal in our support raising process, and we knew it would have a huge impact on the future of our ministry with MAF. At the beginning of the week we predicted that reaching the goal was improbable, unless God intervened in a big way. Thankfully, he did! Letting us go from the ministry was, and still remains, a possibility, but may not be quite as imminent as we had understood. Everything that was discussed will be prayed over and considered before any definite decisions will be made, but we still see potential among our mailing list, scheduled presentations, and travel plans to reach 100% of our support target soon. MAF is on the same page with us in that we all want to see this ministry fully funded and our family serve in Congo for as long as that is where God seems to be leading. While the decision making process is still on-going we will tell you what we do know. We still want to get to French language school in Quebec this January. The school has semester start dates, so our options are January and September. Delaying our start date until next fall is not a preference for us or for MAF. MAF will not schedule language school until we are at least at 80% on our monthly support. The school application/acceptance and visa application process takes about three months, meaning October 1st is the date by which we need to apply for the January semester. Reaching 60% this week was a huge success, a demonstration of God’s provision, and an indicator that there are still people out there willing to give. However, it also means that we have a tough month ahead of us, as we need just over $1,200 in new monthly commitments to reach the 80% benchmark–something that sounds like our personal hurricane Katia. God is able though! If we don’t reach this benchmark, we will probably have another round of evaluations much like yesterday’s early in October. Thank you for praying! Thank you for giving! You are all part of the team that makes this ministry possible. In addition to your prayer and financial support, we would appreciate any opportunities to share with your church groups, bible studies, friends, family, coworkers, or anyone else who might be interested in the work we will be doing. See our Partnership page for more details.